Find hotel near Flor Do Vale - Alambique .. 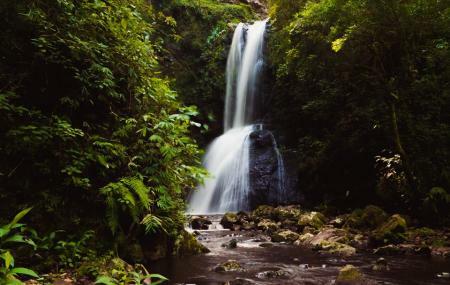 This natural preserve in Brazil offers wonderful park, waterfalls and hiking trails. The waterfall here is magnificent. But, the main attraction is their local drink - cachaça. You will love it for its unique taste. And the best part is, you can also see the whole process of this drink-making. You can try archery, if you are interested. Or you can simply walk around and enjoy the nature. Walking tracks are well-marked and in a good condition. It is basically a modern ecological tourist destination. You will need around 3 hours to do the entire visit. A perfect place for nature lovers. Find the joy in planning a D.I.Y. trip by using this awesome Canela trip planner. You won't miss your home when in Canela, hotels in Canela like Hotel Tissiani Canela, Hotel Carpevita, Hotel Gramado Palace and Hotel Kehl Haus offer some of the best places to stay in the city. Generate executable plans on your own or book the top rated Canela vacation packages for your visit. Read more on how to reach Canela. Love this? Explore the entire list of places to visit in Canela before you plan your trip. Fancy a good night's sleep after a tiring day? Check out where to stay in Canela and book an accommodation of your choice. It's a beautiful place with a massive waterfall that you can actually get to the base. They advertise animals, such as monkeys and other native creatures, but I couldn't find any. You pay $15 per person if you want to go to their trails and to the waterfall. An extra $20 can buy you some archery practice. An extra $30 can buy you some gun practice. You can taste their traditional brazilian drink called "cachaça" (ka-sha-sah), which has 40% alcohol. You can also understand how the drink is made. They provide a booze bus to pick you up/drop off at the hotel if you want to try the drinks (cost varies). The roads there are unpaved with lots of potholes, so prepare your car for a dirt/dust fest. No one speaks English there. Local de fácil acesso,Atendimento muito bom 15,00 entrada aceita cartão, direito a visitação em todo parque e degustação à vontade de cachaça e licores,tudo muito limpo e organizado,trilha bem sinalizada, acesos as cachoeiras e tranquilo muito contato com a Natureza ,acesos a animais silvestres e muita mata nativa.otima opção em Canela não deixe ir.preços das cachaças bem acessível são muitas saborosas. Grande surpresa da viagem a Gramado e Canela, lugar agradável, belas paisagens , a e cachaça muito boa...valeu.